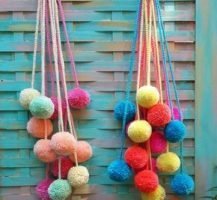 I’m sure you’ve seen pom poms everywhere by now, but if not, I guarantee you will notice them more after reading this. 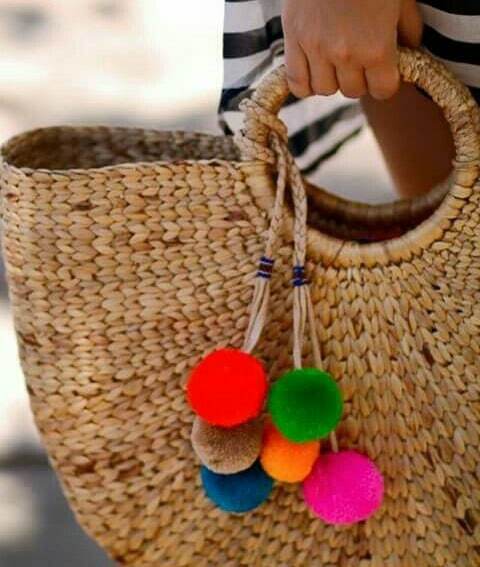 These colorful balls are trimming just about everything in the fashion and interiors worlds, and if you’ve been shopping with me lately, you know I’m obsessed with them. 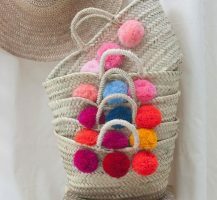 I noticed this trend emerging last year and thought it might be a one season thing, but these yarn balls are holding strong, and I’m so glad, because I love them. 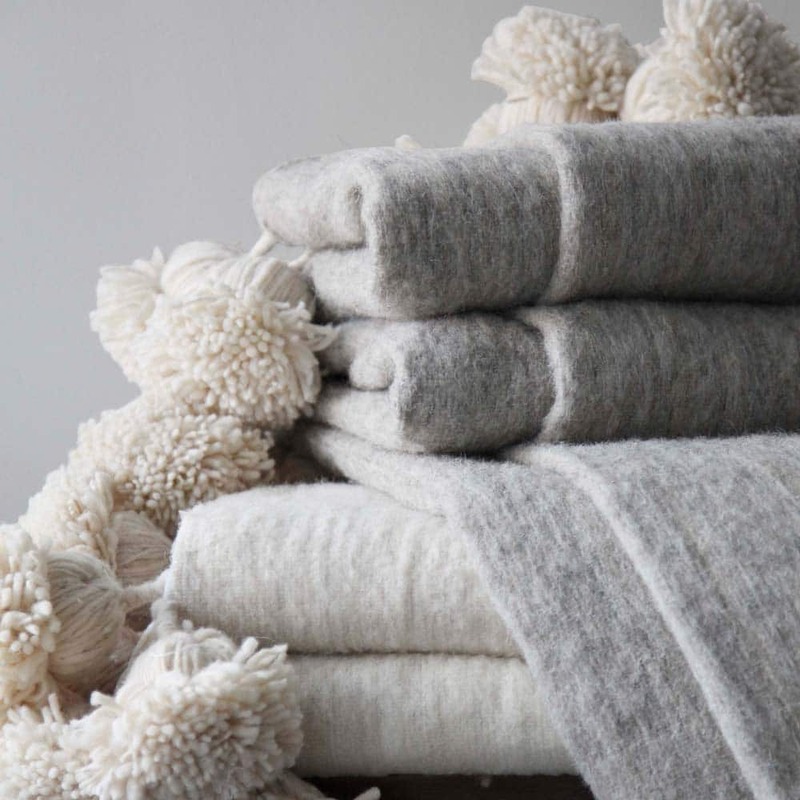 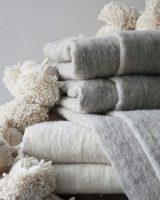 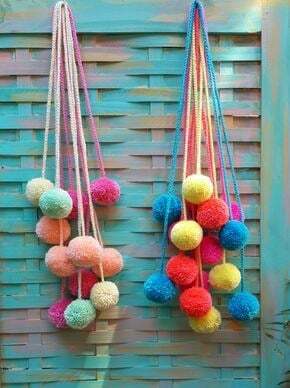 I did a little research to find where these came from and found a great piece Martha Stewart did on the history of the pom pom. 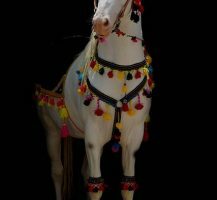 I won’t go into great detail on that, as you can read that piece here. 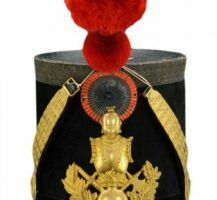 But, who knew these fun pom poms I wore on my roller skates as a child, and now want on everything I own, have a history rooted in military culture, signifying rank and regiment, and are worn by clergymen, as well? 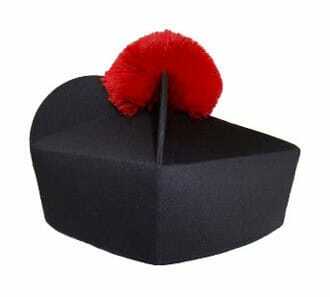 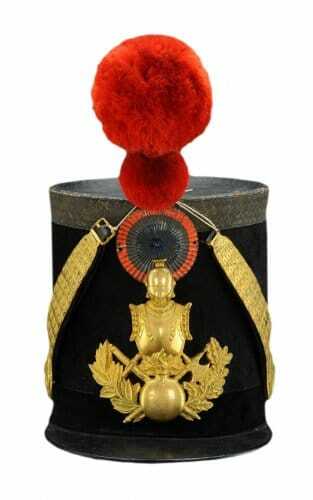 These are two examples of pom poms on military and clergymen hats. 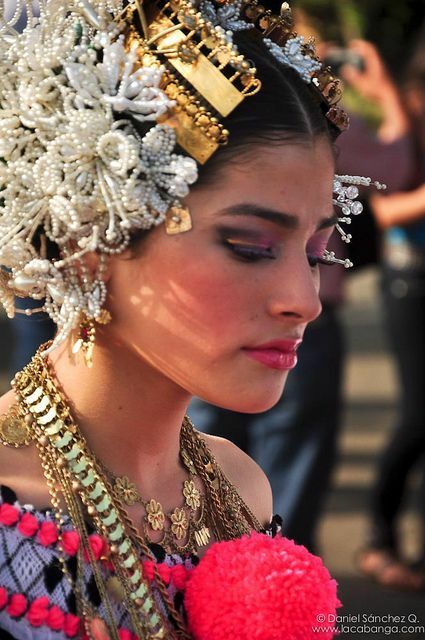 In her piece, Stewart mentions South American culture and the light went on; That’s where I know these from. 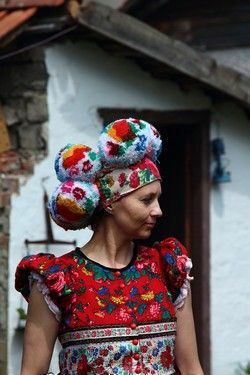 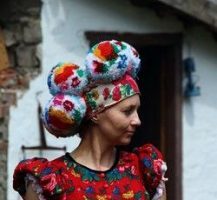 I’ve seen countless images in travel magazines depicting people in colorful, traditional dress with pom poms on everything. 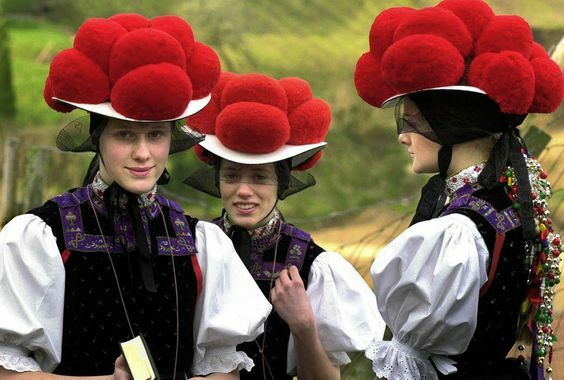 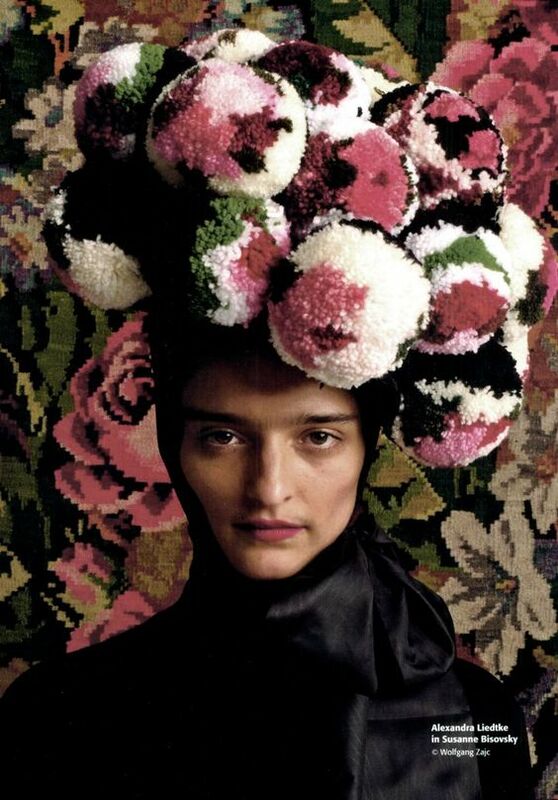 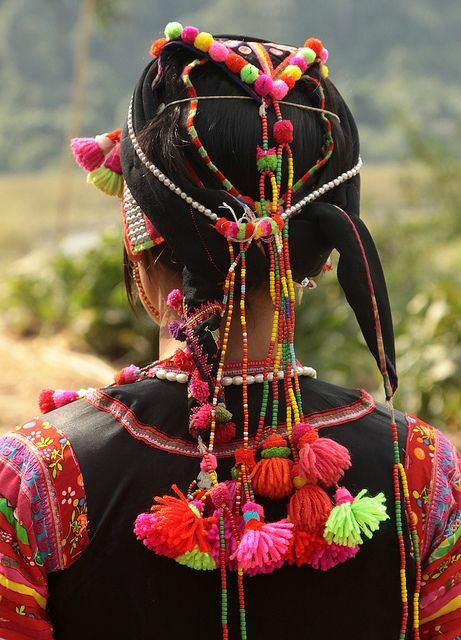 The more I looked, the more I realized these pom poms can be found on traditional dress in all regions. 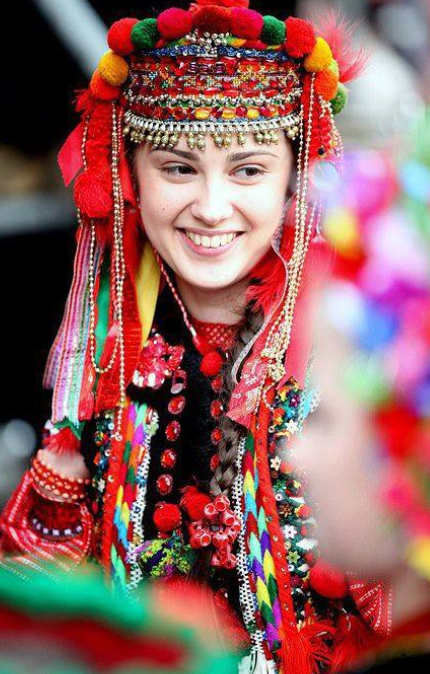 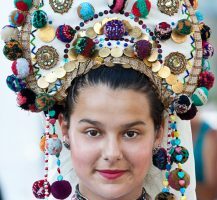 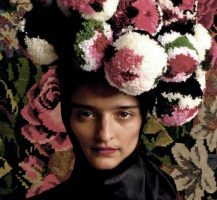 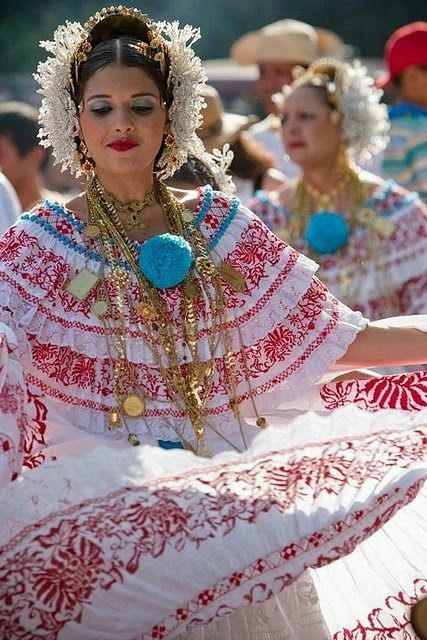 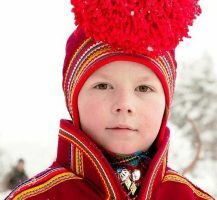 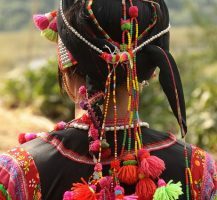 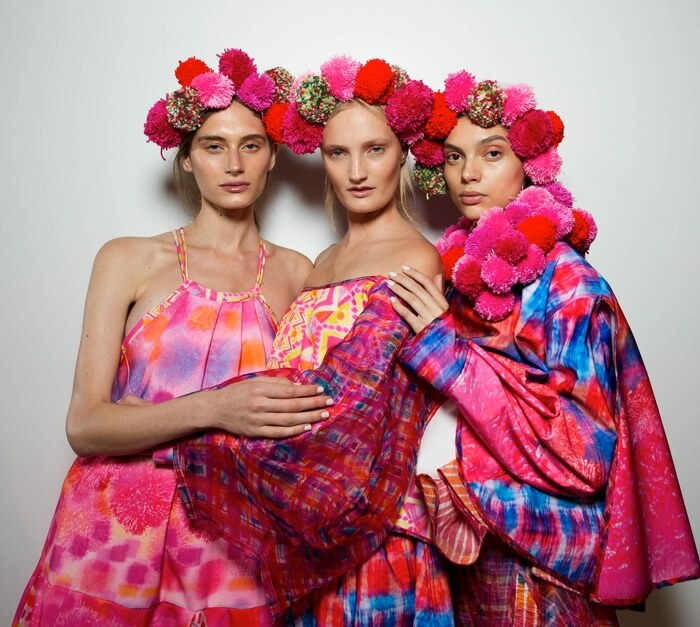 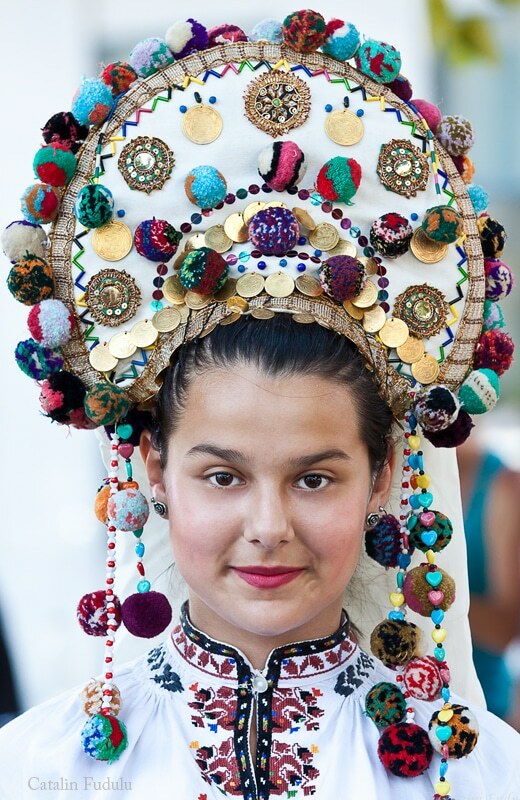 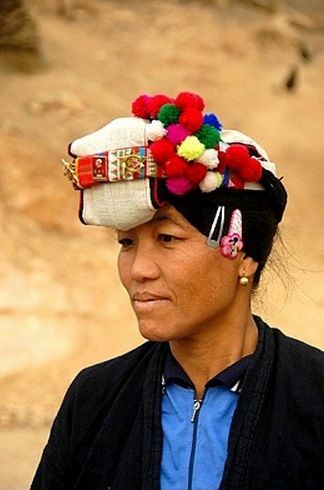 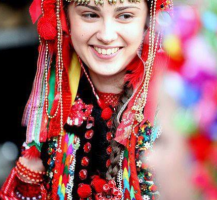 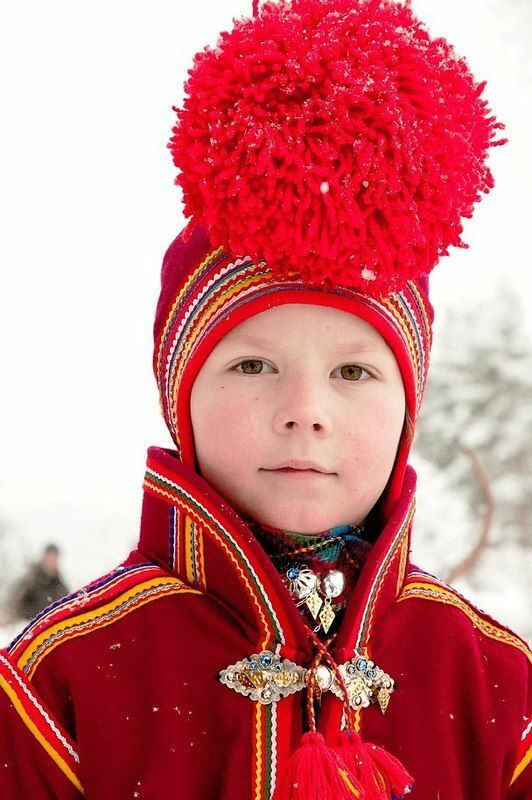 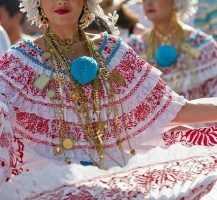 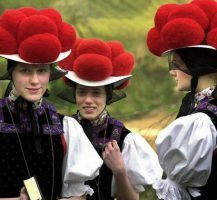 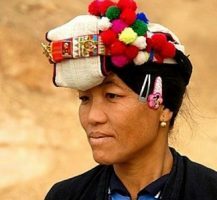 Below are images of traditional dress from all over the world with examples of pom poms in varying sizes and placement from headdresses to chest poms. 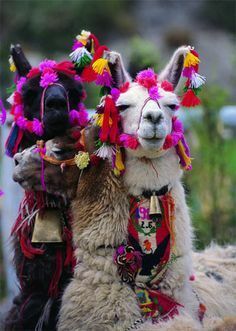 They’ve even found their way into couture and on the runway. 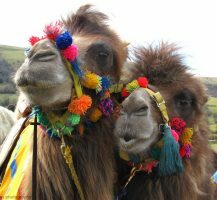 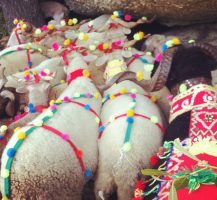 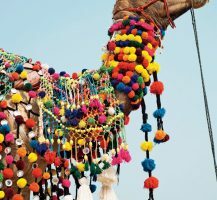 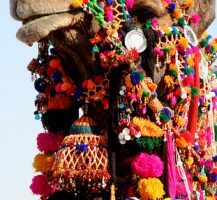 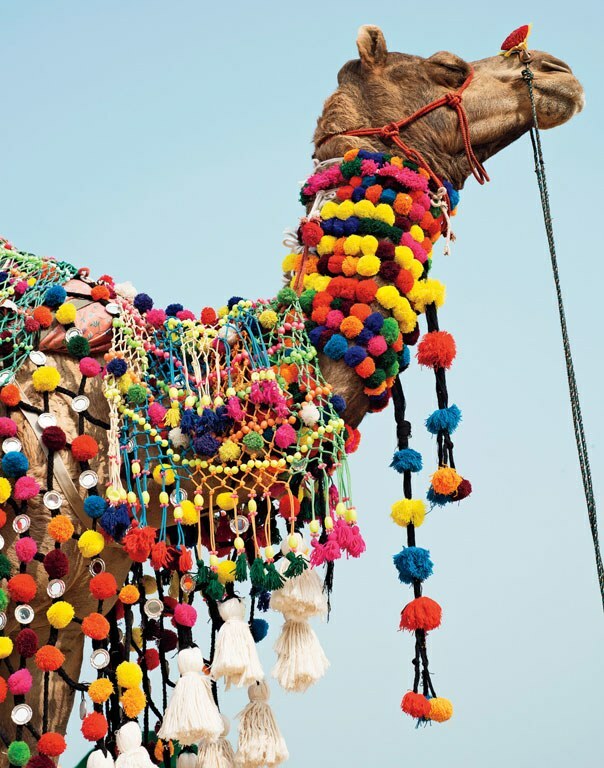 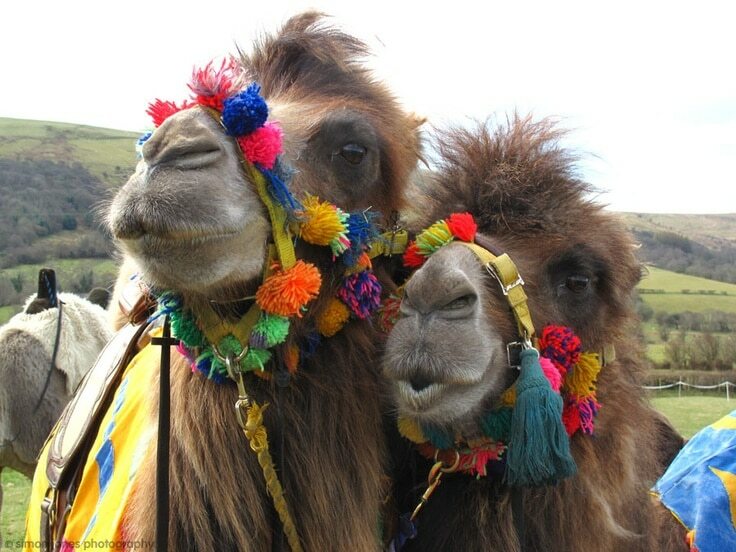 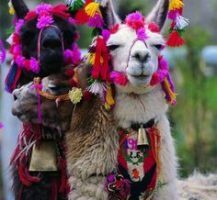 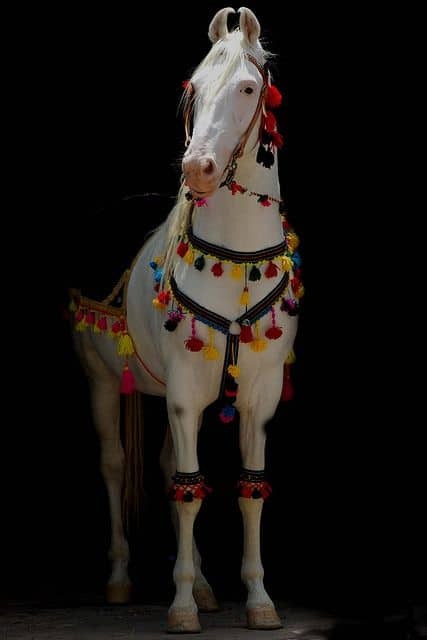 People also take great pride in dressing their animals during ceremonies and weddings, and in South America, pom poms (tulmas) are used to mark one’s llama out in the field. 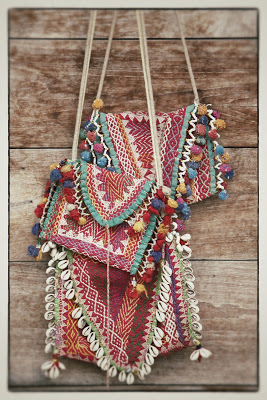 Omg, aren’t these so cute and intricate? My family raises livestock in south Georgia, and I wonder if we can use these to mark the cows instead of ear tags. 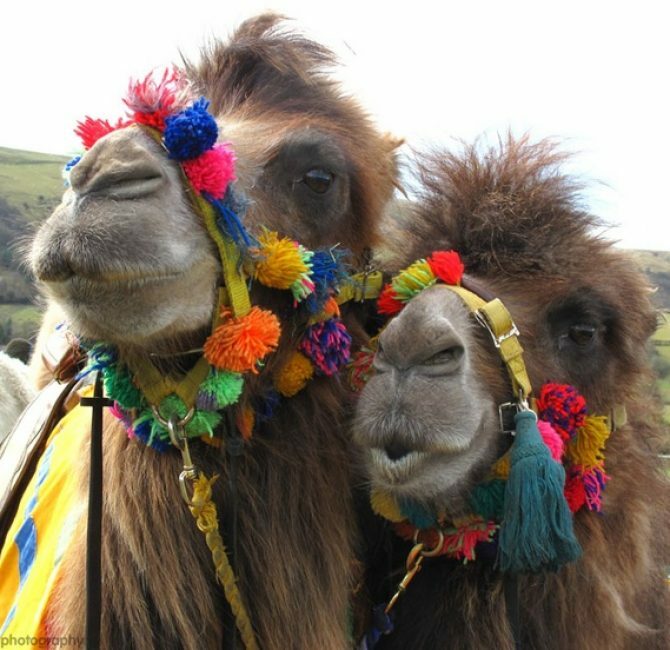 😉 And even more cute, a couple of these images below look like these guys are posing for selfies together. 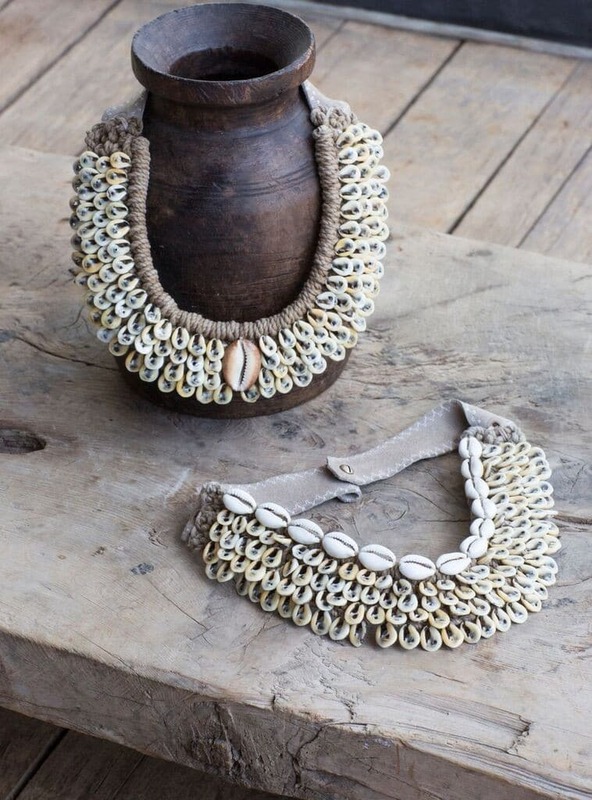 Unfortunately I couldn’t trace the link to the original seller, but I found these pieces below on Pinterest. 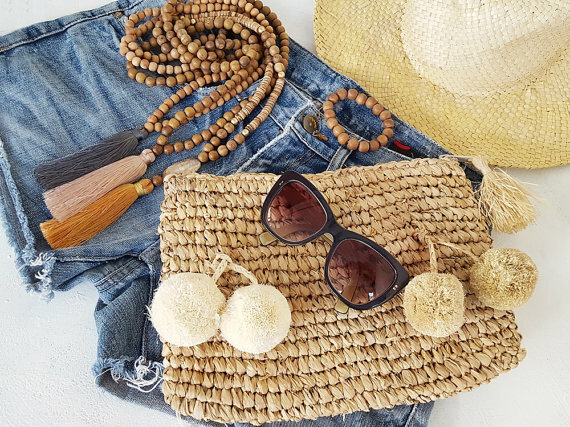 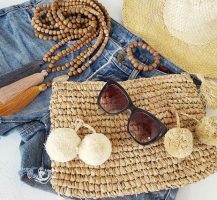 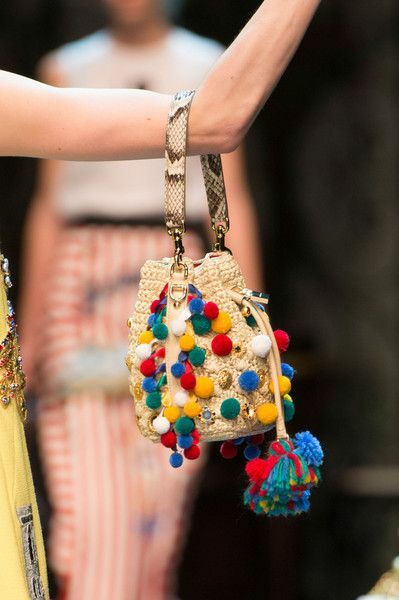 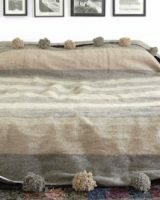 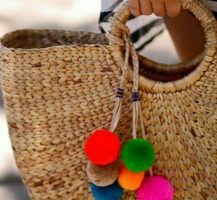 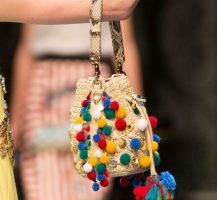 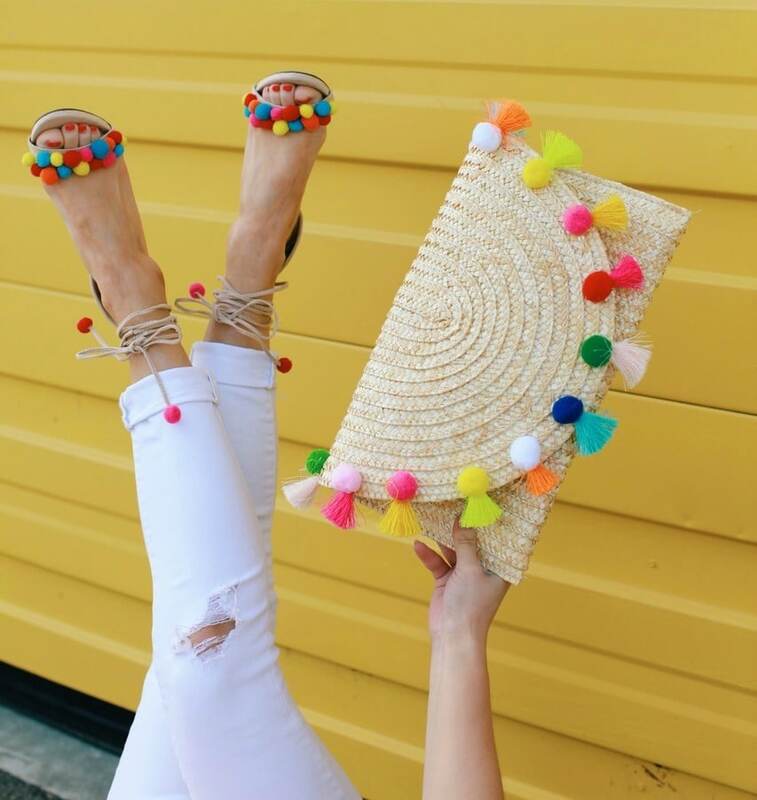 I love the neutral colored poms, and this boho bag with the shells and poms is just everything. While I was in Key West at Grace on Frances, I picked up this Moroccan pom pom scarf below, which is lightweight for warmer months but big enough to be used as a small throw. 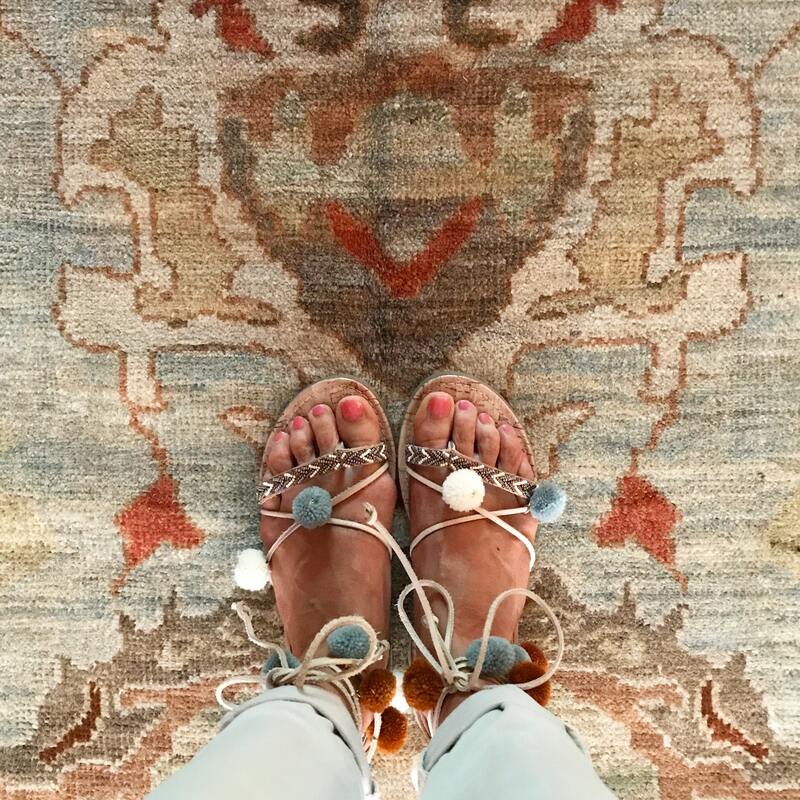 I almost always need a little something over me when I’m sitting still in an air-conditioned building. 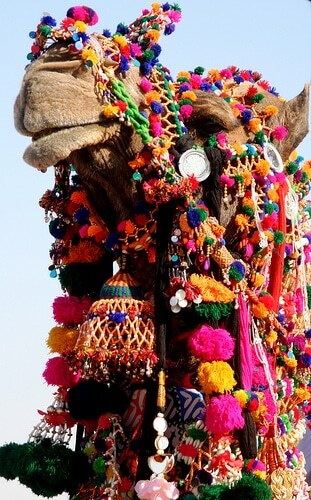 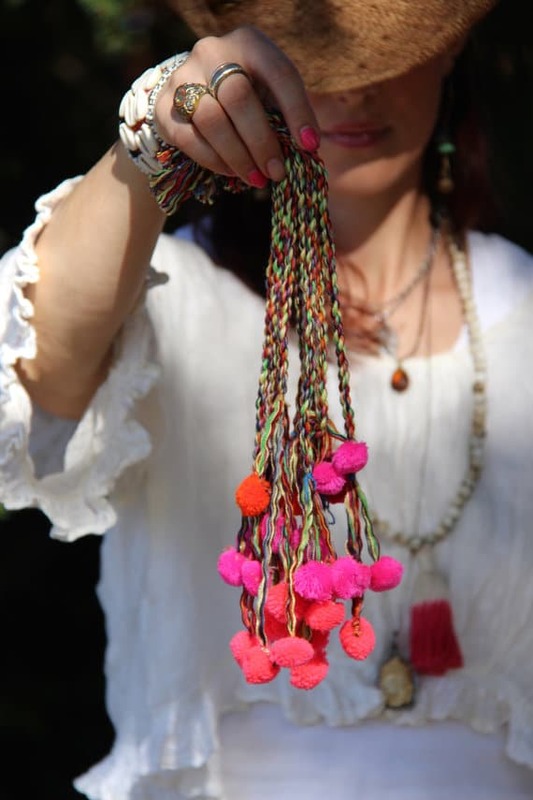 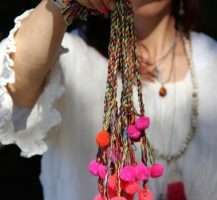 The Moroccan pom pom is a very close cousin of the tassle. 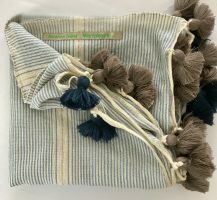 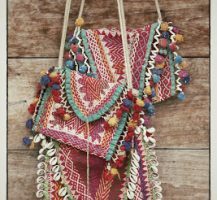 The tulmas I mentioned above can be found all over the internet (check Etsy) and can be tied on just about any bag to dress it up without investing in a bag that has pom poms on it, in case these are trending out next year. 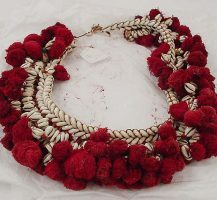 This collar is one of my favorites from Twine and Twig, and if you read my last blog post about global style, you can see how closely it resembles the tribal collars of the Maasai tribe, but take a look at this collar with the red pom poms on it. 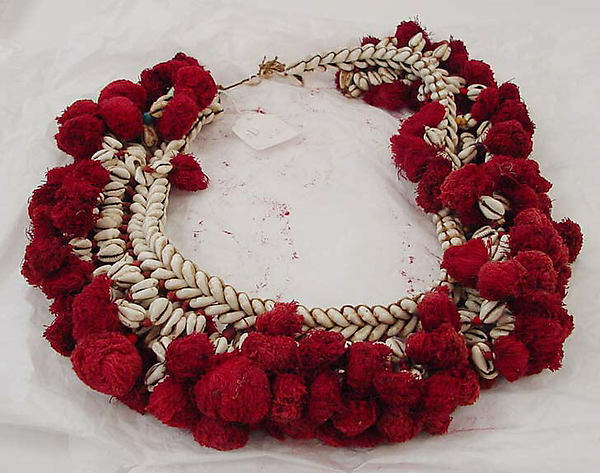 This shell and pom pom piece is an 18th century ethnographic piece in the Metropolitan Museum of Art’s collection of jewelry. 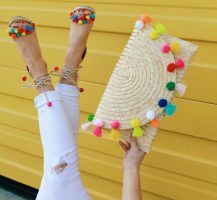 Don’t the poms punch it up even more? 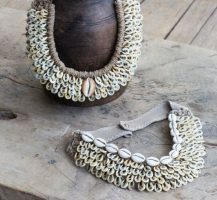 I love these huge intricate collar necklaces with a long simple maxi dress and a strapless, boat neck, or crew neck collar, so the they sit flat on the chest as the focal point. 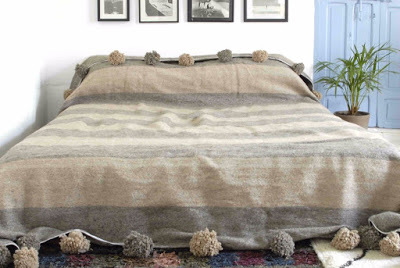 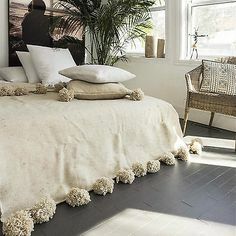 And then my Moroccan pom pom bedding craze, links to purchase the ones below can be found here, here, and here. 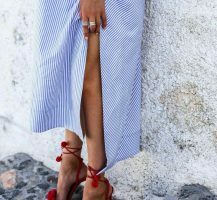 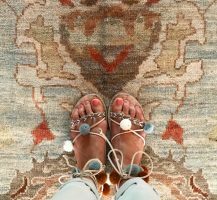 I’m showing all neutrals because that’s what I love, but if you click on that last link, you’ll find several in bright colors. 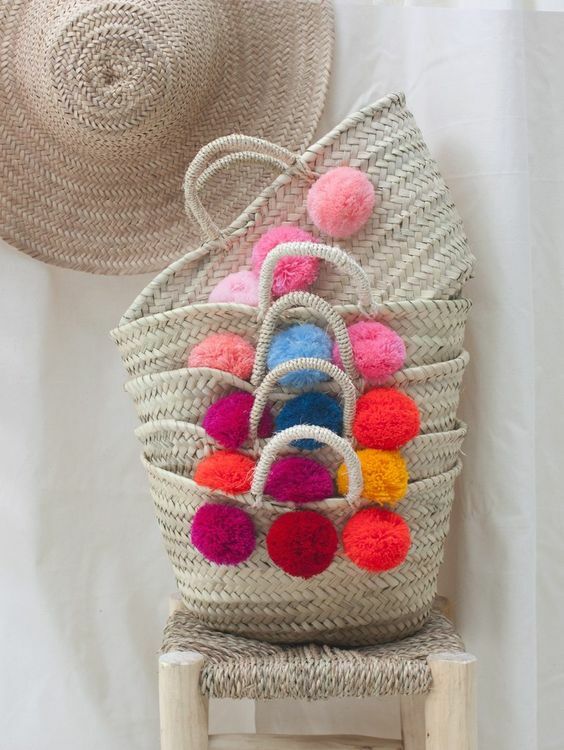 Can’t wait to see if pom poms find their way into your life after reading this.